Holy God, whose power is made perfect in weakness: we honor you for the calling of Jeanne d’Arc, who, though young, rose up in valor to bear your standard for her country, and endured with grace and fortitude both victory and defeat; and we pray that we, like Jeanne, may bear witness to the truth that is in us to friends and enemies alike, and, encouraged by the companionship of your saints, give ourselves bravely to the struggle for justice in our time; through Christ our Savior, who with you and the Holy Spirit lives and reigns, one God, now and for ever. Amen. 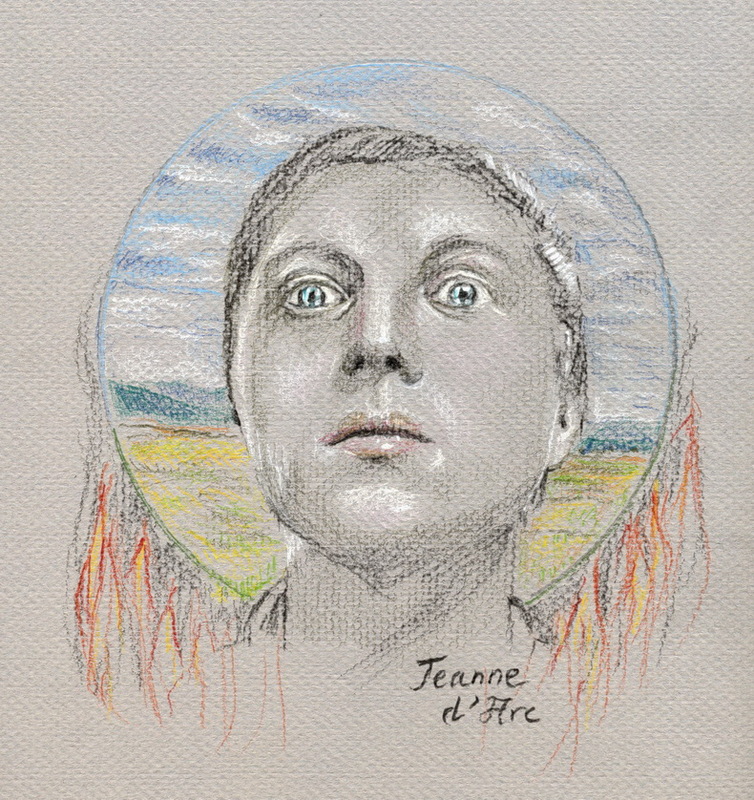 Joan of Arc is a discomforting figure. Inspired or mad? Inspired and mad? Just inspired and politically astute but not enough to work around canon lawyers? However one assesses the mystical side of Joan, we are left with a very human, young, but powerful figure whose actions helped to shape an age. 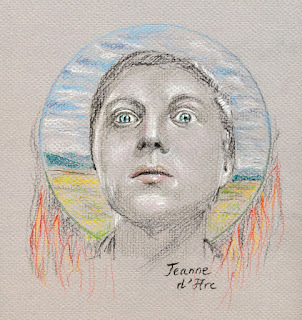 The icon is an effort to capture Joan's vision of a peaceful and idyllic countryside through the flames that consumed her. I am reminded of a line from late in Shaw's play, "Her heart would not burn..."
God give us faithful, mad folk to shake us from the complacency of satisfaction with less than you desire! Lord God, in your providence Jackson Kemper was chosen first missionary bishop in this land, and by his arduous labor and travel congregations were established in scattered settlements of the West: Grant that the Church may always be faithful to its mission, and have the vision, courage, and perseverance to make known to all people the Good News of Jesus Christ; who with you and the Holy Spirit lives and reigns, one God, for ever and ever. Amen. As the heavens declare your glory, O God, and the firmament shows your handiwork, we bless your Name for the gifts of knowledge and insight you bestowed upon Nicolaus Copernicus and Johannes Kepler; and we pray that you would continue to advance our understanding of your cosmos, for our good and for your glory; through Jesus Christ, the firstborn of all creation, who with you and the Holy Spirit lives and reigns, one God, for ever and ever. Amen. I have long observed that the church serves itself and the world poorly when it fails to take adequate account of what is in its effort to demand what it thinks must or should be. As I observed in a comment on an earlier post, this is one peril when a magisterium rests on its authoritative laurels, lacks a built-in corrective mechanism, and chooses to ignore correction from without. The result is punctuated equilibrium, with damage, rather than slow and steady development. The image that popped into my head is that of Ulysses chained to the mast, while his crew has its ears stuffed with wax. He hears the siren song but is unable to move, the crew does not hear it, but nor does it hear his commands to obey him, to set him free. 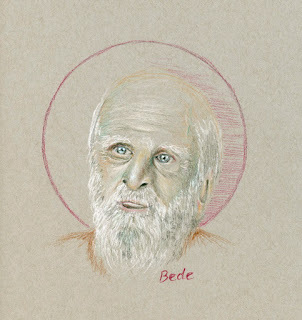 How much better when the church's leaders listen to the findings of those who are not necessarily a part of it, in the humility to accept that Wisdom sometimes builds her house in strange neighborhoods, and that the heavens tell of God's glory even when the church stops listening or mishears. 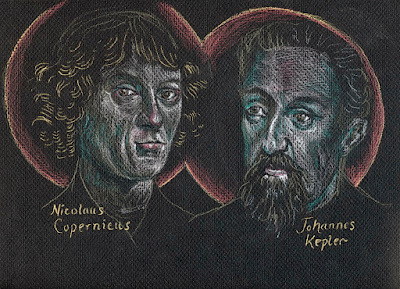 Thank you, Nicolaus and Johannes for gazing up, and sharing what you saw and conceived. Wakantanka, Holy God, you called your servant William Hobart Hare to bear witness to you throughout the vast reaches of the Niobrara Territory, bearing the means of grace and the hope of glory to the peoples of the Plains: We give you thanks for the devotion of those who received the Good News gladly, and for the faithfulness of the generations who have succeeded them. Strengthen us with your Holy Spirit that we may walk in their footsteps and lead many to faith in Jesus Christ, in whom the living and the dead are one; and who lives and reigns with you and the Holy Spirit, one God, now and for ever. Amen. Hare followed in the Spirit of Saint Gregory's outreach to the native peoples of England, in respecting and incorporating aspects of their culture in harmony with the Gospel. Would that all missionaries, and all Christians, were so gracious, and grace-filled, in respecting the lives and experience of those with whom they seek better to understand our limitless and generous God. The leaders of the Roman Church in England have issued another alert to legislators about the possible dangers of marriage equality. They worry that "Marriage will become an institution in which openness to children, and with it the responsibility on fathers and mothers to remain together to care for children born into their family, is no longer central to society’s understanding of marriage..."
Of course, this notion has never been true universally. "Openness to children" (whatever that means to an infertile couple, whose marriage is allowed even in the Roman Church, I can not grasp) and upbringing by their biological parents has been, in many cultures, one aspect or a possible outcome, or even expectation, of marriage. But it is not universal, nor has it always even been "central." 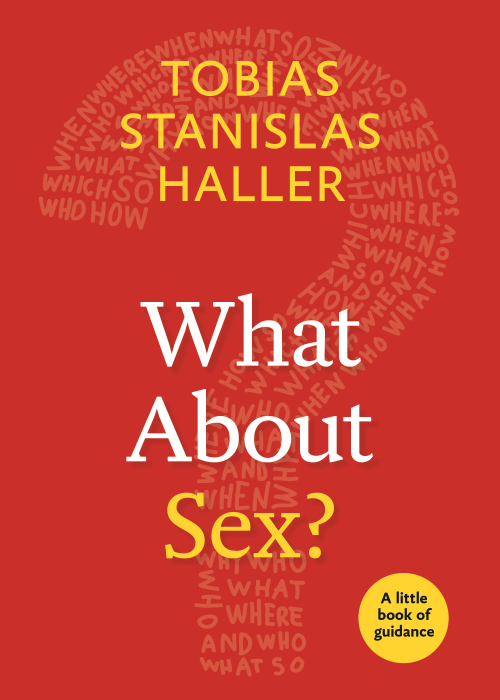 In particular, the Church of England has recognized that this "use" or "purpose" of marriage is only one among a number, explicitly since 1549, by directing that the prayer for procreation “shall be omitted” when the woman is beyond the age of childbearing. It is a basic principle of logic that things that must be omitted in some circumstances cannot be central, and that things which are not present in all instances of an entity cannot be essential to that entity. The procreation and rearing of children are phenomena which can and do take place apart from marriage, and marriage can take place absent either. Do they need someone to draw a Venn diagram? Or is it merely the Roman tendency to try to force a desired form onto a reality that is far more spacious than they want to allow? I would argue that it is not even "best" in the abstract that children should be raised by their own parents. It all depends on the particular case, and in the case of bad parents foster care is to be preferred. I will let pass here any extended reference to how poorly this Roman position reflects on the sacred history, with its rich imagery of adoption and foster-parenthood. But the absence of such references seem to me to indicate a particular blind spot, or a phenomenon in which marriage as they understand it has become like the apple in Maigritte's portrait of the man who can see nothing else, nor even understand it to be an apple, but as a green wall obstructing all knowledge of anything else. A California court has rendered a decision in the remaining property dispute concerning congregations (or parts thereof) who had chosen to depart the Episcopal Church. At issue in this case, rather different from most others, is a letter from the bishop of the diocese written in 1991 telling the congregation they could buy some property that would not fall under the prevailing canonical “trust” of the diocese or the general church. The judge has found that the bishop did not have the authority to waive the canons, which state that all real property is held in trust; and moreover that the bylaws of the congregation also declared that all property they hold is held in trust. This renders the letter and the “gentlemen’s agreement” a nullity. This only came to a head, of course, when the congregation chose to depart the church. Second, the canons do provide for the alienation of property, which does not require national approval. All that is required for a parish to alienate property is the approval of the bishop and standing committee. This is true for parishes that remain within the Episcopal Church and any which choose to depart — in a few cases amicable settlements have been reached by which congregations leaving TEC have been able to retain their property upon reaching an agreed settlement with the diocese. Parishes cannot simply walk away in possession of property they held in trust. 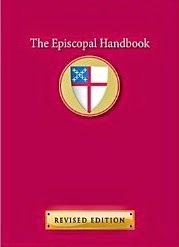 Third, and this is the most important principle: parishes may well hold title to their property but they do not own it free and clear — and this was true long before the enactment of the so-called "Dennis Canon" — as attested by the other long-standing canonical regulations that restrict the sale of church property, and require diocesan approval (of bishop and standing committee) for such sale. Church property is not allodial, but feudal — its disposition is not entirely in the hands of those who hold title because of other legal restrictions. This is actually true of most property even outside of the church, where zoning laws and eminent domain and other state and local regulations restrict what one can do with one's property. So those who were claiming that this court decision opens a can of worms for all church property ownership have wildly missed the point. I am flattered that the venerable Anglican Curmudgeon has taken note of my musings. I fear he has mistook me in small part (which I attribute to my hasty comments at Thinking Anglicans more than to my effort here). Suffice it to say he and I have continued some discussion at his well-worth-visiting blog. I posted a couple of comments there the gist of which I will share here, as I think it helps to offer some additional clarity to my view of the situation, edited slightly for this different context. As I see it, the main issue involves the distinction between the trust itself and the alienation of property. Let me add that I do not think any duplicity was involved in the action of the bishop or his canon to the ordinary, and it is a matter of some concern that succeeding bishops, and others, have chosen not to honor that commitment, even if it was inappropriately made. It seems to me that both sides in that agreement were poorly advised as to the state of the law at the time, both ecclesiastical and civil. 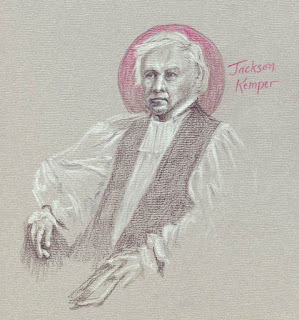 It would more likely have been advisable for the parish leaders to undertake the establishment of a separate not-for-profit corporation to obtain the property and then to have leased the property to the parish for its use, none of which would have required the consent of the bishop, though an episcopal nod would have been seemly. This would have improved on the gentleman's agreement and provided legal protection. The issue of the alienation or sale of property is distinct from the existence of the trust. I believe that the current court decision, even if upheld on appeal, should not concern any parish so long as it remains part of the Episcopal Church. That seems to me to be the plain reading of Canon I.7.4. (The "Dennis Canon.") I read "otherwise" in this canon not in reference to the trust (for the Church and Diocese thereof) but in reference to the normal property rights enjoyed by the parish restricted only by the immediately preceding section of the Canon (I.7.3) which describes the procedure and the requirements for encumbrance or alienation. Furthermore, I do not see how this decision would apply to property transactions for parishes that remain part of the Episcopal Church -- or, indeed, who would have standing to challenge such a legitimately permitted and canonically correct sale if the Bishop and standing committee, and the vestry of the parish, have approved it – or even who would care to do so. Matters are different for parishes that choose to leave the Episcopal Church. I am aware that national leadership have attempted to forbid amicable and fair-value settlements to departing congregations in a few cases; and very likely look askance at sales for a mere token; but I imagine that the urge to challenge even the latter in court will depend on the willingness to meet the legal costs, and I for one would hope that urging reasonable settlements would prevail. Further conversation with A Curmudgeon was very helpful and directs me to what I think is the difficulty I have with his position. This devolves to two points. The attempted waiver on the acquisition of the property was really an attempt to waive responsibilities de futuro (pardon my mixing marriage law with real estate... just that my head is rather involved in work on the former at present), in other words, proactively to hold property free from the trust in the case of some future alienation. The court found that the trust relationship cannot be so dissolved, either in the future or the present. As I suggest, there were other possible ways to structure this, but a bishop cannot essentially authorize a sale of property (a parish doesn't yet own) in the future, or apply the dead hand to require a successor so to do -- and the St Com approval is also needed in any case. In the present, however, a Bp and SC can authorize an encumbrance (sale or lease) -- not "waive the trust." Which brings me to my second point. Mr. Haley is interpreting the encumbrance of property in I.7.3 as a waiver of the trust in I.7.4. But it is not a waiver of the trust, since the value of the property remains for the use of the church. It is a transaction within the trust, not an escape from or waiver of it. It was the attempted waiver de futuro -- essentially to allow a parish allodial title to their property -- that the court found to be a nullity. Parishes do not hold their property free and clear. I.7.3 was on the books long before I.7.4 was a glint in Walter's (or Blackmun's) eye. The trust element was, as various courts have stated it, implicit, in part because of the long-standing limitations on the encumbrance of property to the extent that a higher authority (Bp and SC) had to approve sales or long-term leases. I do not see this as a case of special pleading, but an across the board requirement. Parishes are not able "to deal freely with their properties" even within TEC. They must have Bp and SC approval for any encumbrance. In NY this is written into the Not-or-Profit Religious Corporations statute as well (predating Dennis), so we need approval of the Supreme Court as well! 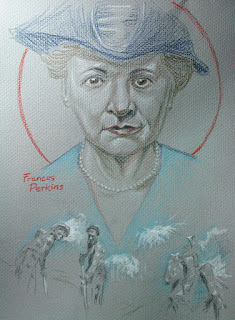 Loving God, we bless your Name for Frances Perkins, who lived out her belief that the special vocation of the laity is to conduct the secular affairs of society that all may be maintained in health and decency. Help us, following her example, to contend tirelessly for justice and for the protection of all in need, that we may be faithful followers of Jesus Christ; who with you and the Holy Spirit lives and reigns, one God, for ever and ever. Amen. 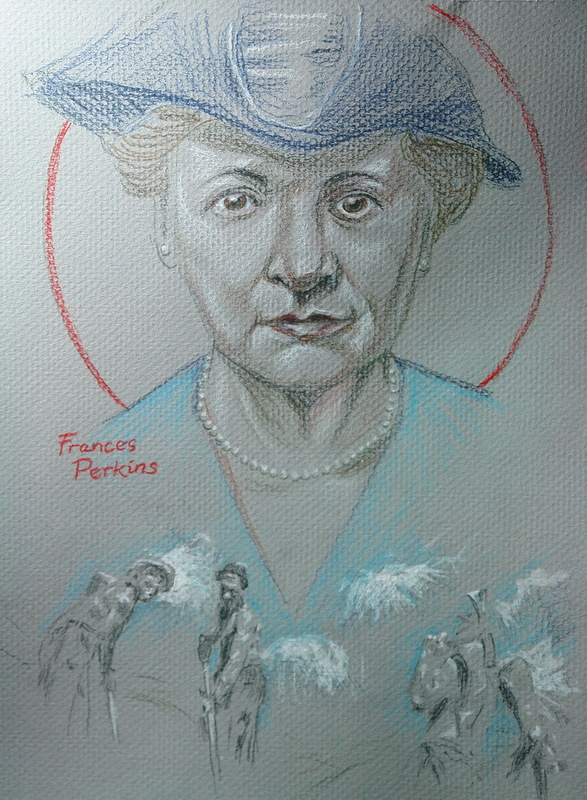 Frances Perkins was the first woman cabinet secretary (Secretary of Labor 1933-1945), an Episcopalian, a tireless worker for workers and a major participant in FDR’s “New Deal” — and isn’t it nice to recall that NRA once stood for something else! God bless her witness and her fortitude. 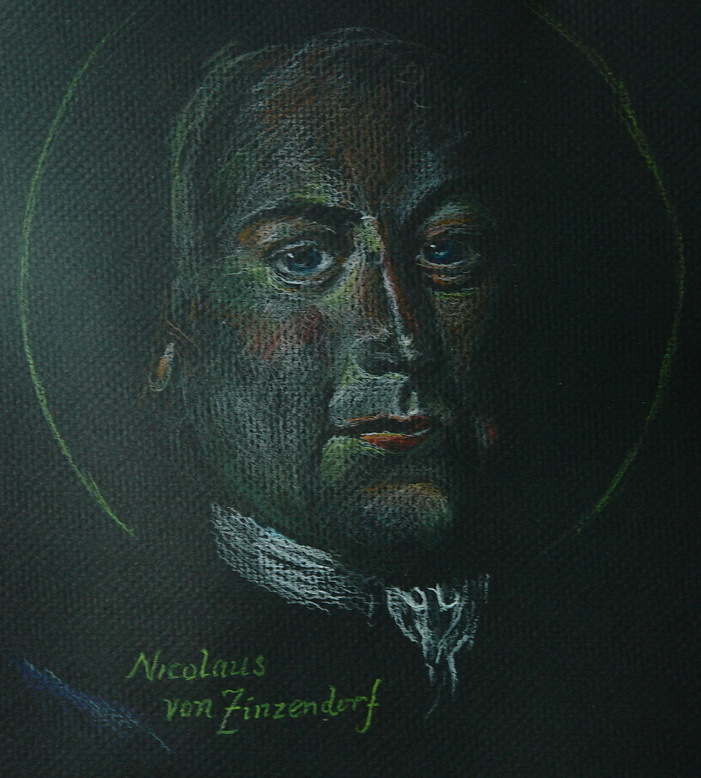 Give thanks for the witness and ministry of this protector and bishop of the Moravian church tradition, hymnodist and ecumenist. we in him, our Lord, are one. 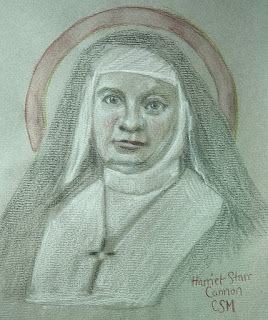 Harriet Starr Cannon is the founder of the Community of Saint Mary, a religious community of The Episcopal Church that among other things notably bore witness during the Yellow Fever epidemic in Memphis. Mother Harriet was an indomitable presence, and I hope I captured some of that in this quick sketch icon. I have to admit that perhaps this shows the influence of having been a fervent follower and fan of Call the Midwife, but the connections are not misplaced, since the ministries of Nonnatus House would not have been unrecognizable to Mother Harriet, and Sister Evangelina (Pam Ferris) shares the strong quality of (and a slight resemblance to, at least as I see it) Mother Harriet. The first few chapters of Genesis do not indicate God’s restrictive plan for the sexual conduct of humanity. They have nothing to say about marriage other than to offer an explanation as to why it is that at least some men and women are attracted to each other, and to describe their union as indissoluble. The former is explicit in the text itself, and we have the latter on the very highest authority. To press these accounts into literal applications, as some have done to place limits upon later developments and better understandings, is as false and pointless as taking the visions of Ezekiel or the parables of Jesus as if they were historical accounts rather than exemplary and inspired teaching. That the primeval human was split to form the sexes is a fabulous construct meant to explain attraction between the sexes. It will not stand as “fact” though it has its own “truth.” But it did not happen that way, and the one who told the tale knew that very well, leaving unanswered the obvious problems such as where Cain’s wife came from. He simply wasn’t bothered, as the goal was primarily geared to answer a single question — why do men and women leave their homes to start their own families. Aristophanes did the same thing in Plato’s Symposium, though more broadly acknowledging the range of human emotional and sexual connection as his culture understood it; but there is no reason to think he intended it as natural history any more than the author of Genesis did his mythological tale. The surest sign that things have changed is when people insist they haven't or they can't. Whenever I hear someone claim that the "definition" is what is important, I quickly remind myself that on the contrary it is what is defined that is important -- and that words change their meanings as the world they describe changes. Few things have changed as much as "marriage." Thus it is interesting to note that some in the Roman Catholic Church are aware that a new wind is blowing, and things are changing. 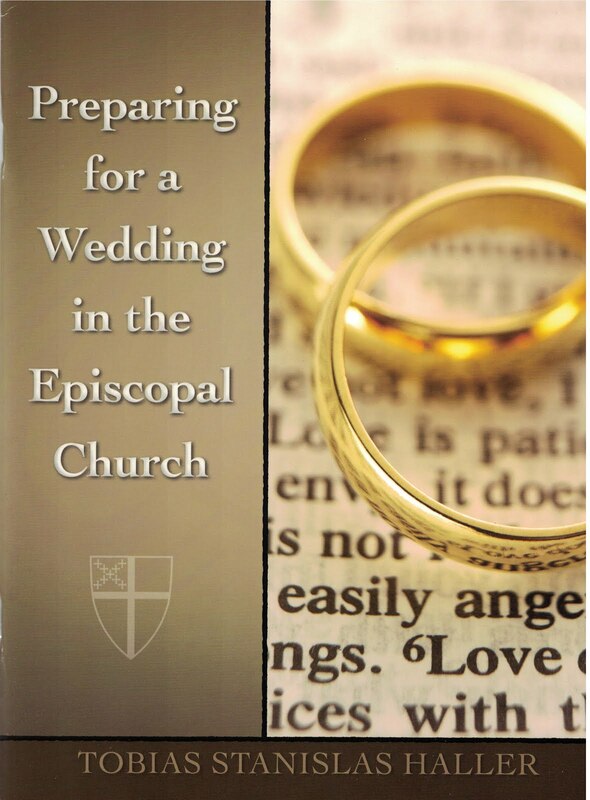 The fact that some in the RCC now seem to be able to tolerate "civil unions" but hold firm at the word "marriage" indicate that this is the final phase of the logomachia, and the wind of the Spirit, which sometimes must — perhaps always does — start with the world instead of the church, is blowing the change that will turn a settled and intolerant world upside down.